Despite being relatively young to be a school governor, Nii Tagoe, 27, fully believes that children deserve the best possible education and he is keen to contribute to that. Nii has been a governor for four months and is still learning how the schools in his academy trust can benefit from his expertise. But he has already pinpointed a clear way to help through his training as a mental health first aider. 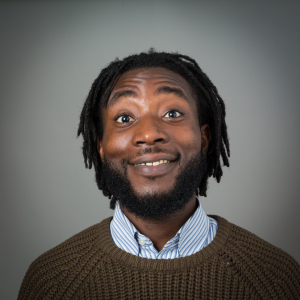 Nii is a qualified mental health first aider, something he gained through Transport for London. “I went through my training and I’m able to have informal conversations with my colleagues who are able to trust me and talk through any concerns or issues they may have. “I’m able to transfer that into my role as board of trustees and I’ve tried to push that on to the agenda for the school as a whole as much as I can. “I realise the impact mental health can have and if you take it seriously enough, it will make a massive difference to the feeling in the school. People are there to listen to you if you are open. That’s been vital for me. I’m just happy to pass on my experience. But that’s not the only area Nii hopes to effect change. His skills in stakeholder management and also his commercial awareness thanks to a previous career in retail all help him to look at the schools’ needs and give pertinent advice. Nii is throwing himself into the process of allowing more schools to join the academy trust and deciding what the caveats and requirements would be for those primary schools. However, as is the case with governance, Nii has also taken some key skills from his role on the board to his workplace. “I’ve really appreciated the whole diplomatic approach and democratic process,” says Nii. “You might have an idea, but the majority vote wins in terms of making decisions. That’s something I really appreciate. People might be very competent in various areas, but being able to vote brings them together, you don’t seem to upset anyone. And Nii is keen that others look to governance, but he stresses the importance of understanding the seriousness and responsibility that comes with the role. “I’m passionate about it. It’s a process that takes a while; you have to declare your interest and there’s an interview stage, then there’s the whole DBS process and then you’re confirmed as a governor. Obviously, it’s good to do and you’re contributing to your community and the future, which is the children. “I would persuade people to seriously consider it, but they should think about what they want to give and what they want to get out of it. It’s about balance, giving but getting some self-satisfaction. Nii credits Inspiring Governance as instrumental in creating his awareness of the opportunities available in becoming a governor.